For many women in their 20's and 30's, the greatest professional hurdle they'll need to overcome has little to do with their work life. The most focused, confident, and ambitious women can find themselves derailed by a tiny little thing: a new baby. While more workplaces are espousing family-friendly cultures, women are still subject to a "parenting penalty" and high-profile conflicts between parenting and the workplace are all over the news: from the controversy over companies covering the costs of egg-freezing to the debate over parental leave and childcare inspired by Mark Zuckerberg's two-month paternity leave. 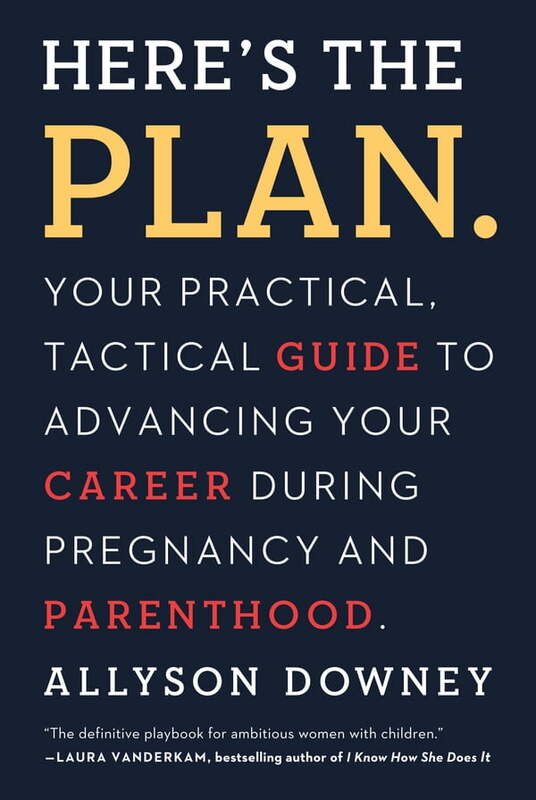 Here's the Plan offers an inventive and inspiring roadmap for working mothers steering their careers through the parenting years. Author Allyson Downey-founder of weeSpring, the Yelp for baby products,” and mother of two young children-advises readers on all practical aspects of ladder-climbing while parenting, such as negotiating leave, flex time, and promotions. In the style of #GIRLBOSS or Nice Girls Don't Get the Corner Office, Here's the Plan is the definitive guide for ambitious mothers, written by one working mother to another.